Last week, the Undergraduate Student Government (USG) held its elections for the 2018-2019 academic year. Third-year chemistry major Maya Rao took the top executive position, president, by a 53.76 percent win. Her second year, she became USG Treasurer, and this year, Rao served as the Vice President of Finance. “With each of these roles, I was able to gain a greater understanding of the inner workings of USG and of the University,” she said. Rao is a champion when it comes to addressing an issue, finding a solution and implementing an effective strategy. 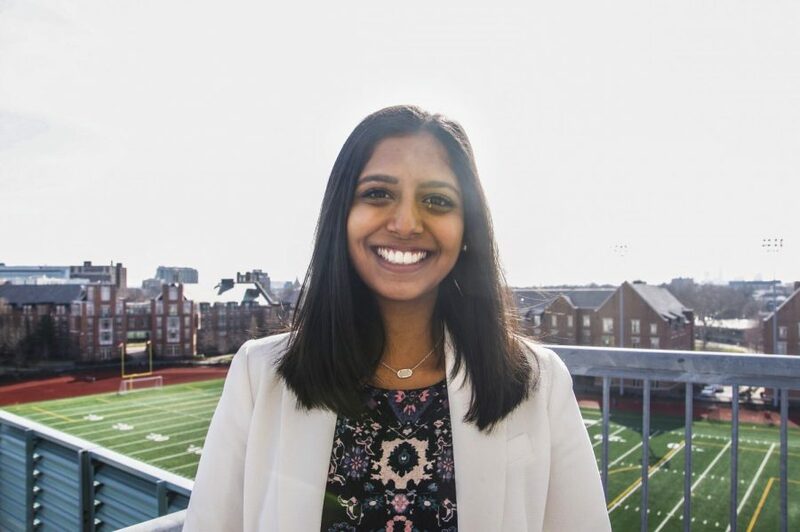 While serving as treasurer, she collaborated with the Undergraduate Diversity Collaborative (UDC), the Residential Hall Association (RHA), the Flora Stone Mather Center for Women (CFW) and other members of USG to write Resolution 26-02, “Access to Free Menstrual Health Products.” The legislation ultimately increased the accessibility of menstrual and sexual health products for the CWRU community by placing dispensers in the majority of campus restrooms. She also attributed her most recent activity as the vice president of finance for setting her up with the credentials necessary for taking on the role of USG President. Rao was a key player in restructuring the Student Executive Council (SEC)’s funding process. She helped establish clear procedures and formalized the SEC Allocations Committee after it underwent a trial run, which broadened communication between the USG Finance Committee, the Allocations Committee and the Students Presidents’ Roundtable (SPR). The new president hopes to establish more open networks of communication, which she believes will promote mechanisms to enhance internal and external USG relations. Among her top priorities as president include carrying out the Diversity & Inclusion Committee’s university-wide disability audit initiative, creating an “Org Leader-centered feedback mechanism” and increasing accessibility of General Assembly meetings in terms of location and content. Rao said the projects will involve a great deal of collaboration between USG committees, which she thinks will increase the body’s overall efficiency. Wellness is another one of her focal points, which she said the University has also expressed its commitment to. The newly instituted wellness director position and consideration of more academic flexibility in the Commission on the Undergraduate Experience (CUE) report acknowledge this aspect, but Rao hopes to tackle the problem through the governing body which she now leads. Rao credited previous USG President Ivy Petsinger, who will graduate this May, for teaching her important lessons on leadership. She praised Petsinger’s “immense positivity and kindness,” and admired her supportive and empowering attitude towards USG members. Petsinger shared similar sentiments towards her successor. Rao’s inauguration took place on April 24, along with that of other USG representatives and Executive Committee members.